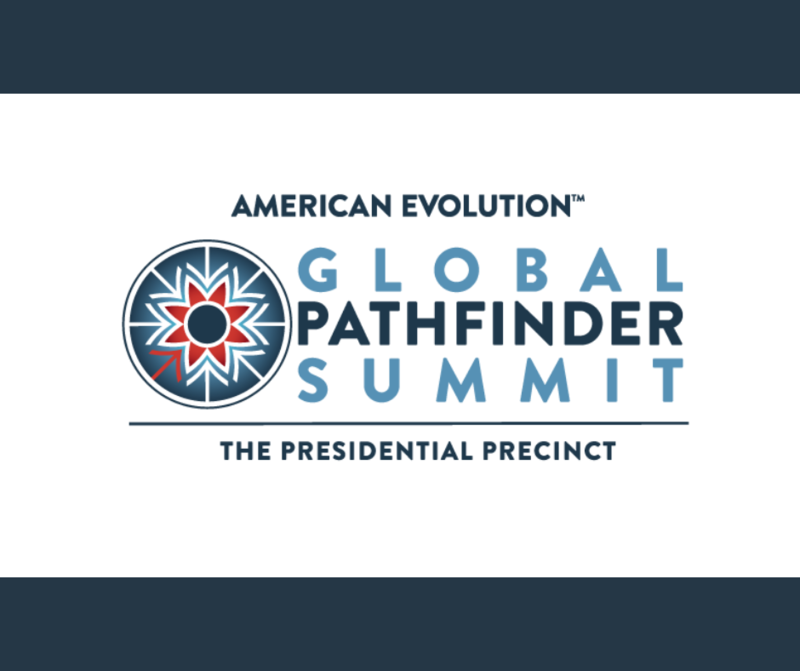 100 emerging leaders from around the globe representing 51 countries will join with 50 Virginians for five days of leadership development and global networking. The original settlers of Jamestown were by and large young pioneers who changed the world. The Commemoration will convene a diverse group of young political, governmental, and civic leaders from across the globe to the Presidential Precinct (the restored homes of United States Presidents Jefferson, Madison and Monroe, all near Charlottesville), and the grounds of the University of Virginia (UVA). Hosted by emerging leaders from Virginia, participants will reflect on the challenges of leadership, civic engagement, and governance in both 21st-century democracies and states aspiring to democracy. 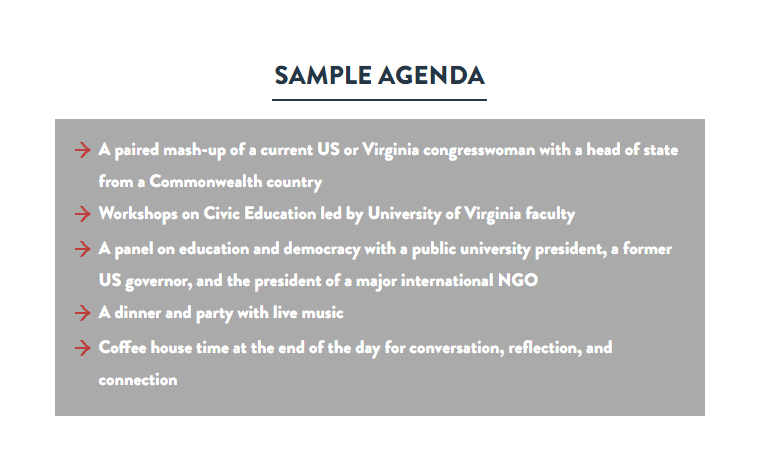 They will also participate in keynote sessions during the Presidential Ideas Festival: Democracy in Dialogue event hosted by UVA’s Miller Center. Join us in celebrating the diverse global ideas that drive our nations forward.